The following review was written by an avid traveller who has lived in Thailand for over a year. These Hummus restaurants are popular with both Israeli and other middle eastern tourists in Kawasan road in Bankok. Non of these three places have great Hummus, but they will satisfy immediate Hummus cravings for those travelling for a few month and needing a quick fix of Hummus. Ko Samui doesn't have decent Hummus, but there's a decent Falafel joint that has Hummus. It's located near Beit Habbad opposite Crystal restaurant. Jerusalem Falafel on Moon Muang near Thapae Gate is probably best. It gets mixed reviews some love it some hate it. But at least it's there. 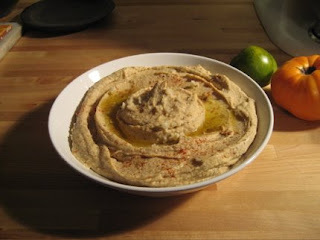 There is a new place in Bangkok to buy REAL Hummus finally like in Israel home made places. the problem is that they only make delivery and it is good only for 2-3 days which is actually good since it means it is natural. There's a place called Art Cafe in Nathon on Koh Samui that does really good, home made hummus. Especially good with their homemade bread and both can be purchased to take out. Just had one of the best hummus I ever tried in a small Restaurant called "Rice Paddy" on the island Koh Yao Noi nearby Phuket. Seems to be not available on every day as they prepare it fresh. Very surprising to find here, as this island is not so popular. Nice post…Thank you for sharing some good things. Nice post,thanks for sharing this.